Pass on the Christmas Spirit with plastic bags for retail! 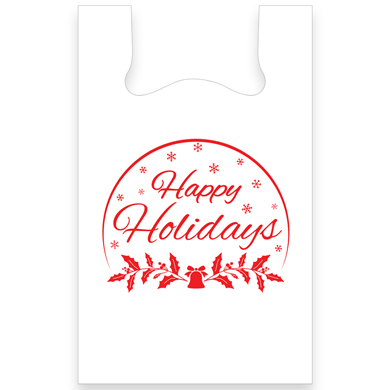 Our Holidays bag is made of a sturdy high density 13 micron plastic in a T-shirt style bag. 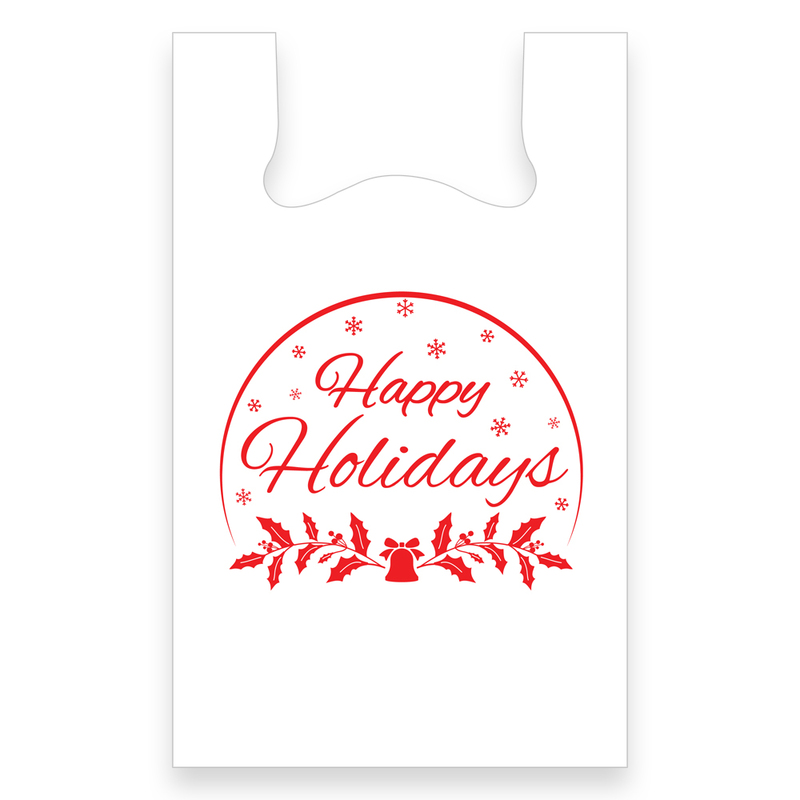 These bags for retail feature an attractive Christmas design printing on the front. For further offerings, we invite you to take a moment to view our entire inventory of plastic bags for retail and Christmas retail store suppliesat Specialty Store Services today.